Astrophysicist Zhang Shuangnan likes traditional Chinese deep-fried dough sticks and Western coffee for breakfast before he gets down to work, studying why black holes get "angry." Sometimes he finds time to ponder why a person is attractive, or to write poems about gravitational waves or quantum entanglement. "All these things are fun," said the 54-year-old director of the Key Laboratory of Particle Astrophysics at the Chinese Academy of Sciences. Zhang's field involves examining neutron stars, black holes, galaxies and the evolution of the universe through astronomical observation and theoretical calculation. In his working life, he develops astronomical instruments, but in his free time, he tries to explain science from the perspective of beauty and studies aesthetics from a scientific viewpoint. Zhang is in charge of two important projects: a probe on Tiangong II, China's latest space lab, to detect the polarization of bursts of gamma rays; and a space telescope, the Hard X-ray Modulation Telescope, which is scheduled for launch soon. The discovery of a special type of "violent-tempered" black hole in the Milky Way owes a huge debt to medical science, but it was Zhang who made thecross-disciplinary discovery. He undertook post-doctoral research in the United States, and studied the process by which medical images are obtained. Later, when he worked for NASA in 1992, he used medical imaging software to deal with astronomical observation data. The move resulted in the creation of imaging technology to measure the earth's occultation - the movement of a celestial body across the line of sight of an observer and another object in space - which Zhang publicized in Nature, one of the world's most respected academic journals, in 1994. The unconventional scientist used the technique to analyze data sent back by a gamma-ray astronomical satellite. "Suddenly, one day I found a new gamma-ray celestial body, which was the brightest object in space at that time. I was astounded - I knew it was a big discovery," he recalled. He had pinpointed only the second micro-quasar ever discovered in the Milky Way. It was a violent, jet-spouting black hole seven times the mass of the Sun. Zhang and his colleagues devised a method to measure the rotation of black holes, which attracted great attention in academic circles, and he was lead author of an article on the phenomenon, published in the journal Science in 2000. "The study of black holes constantly surprises me. It's challenging and very interesting," he said. 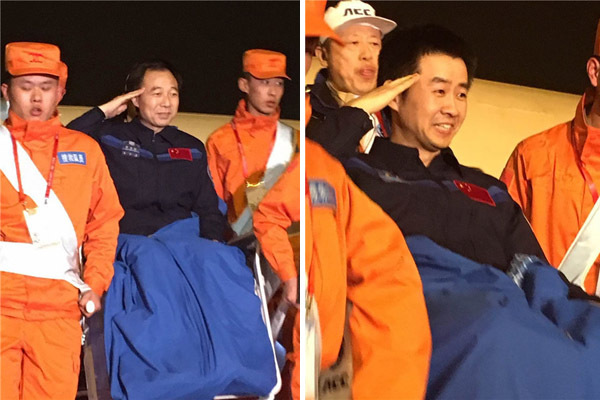 Although Zhang shared a group award from NASA for the discovery, he was barred from leading a satellite project because the US space administration doesn't allow Chinese scientists to lead key projects. 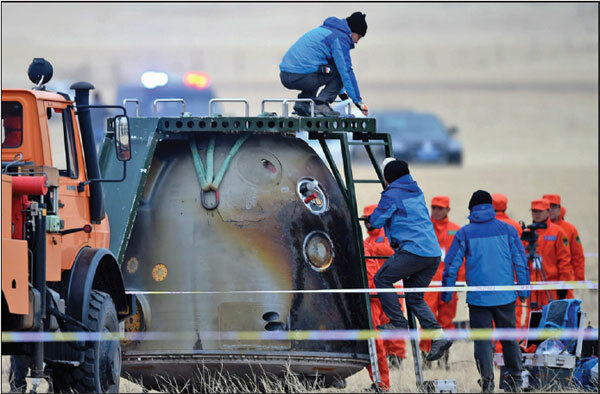 He left NASA, and in 2002 he accepted an invitation from his former tutor, Li Tipei, an academician at CAS, to help develop the HXMT telescope. Research and development of the space telescope was a tortuous process that lasted more than a decade. 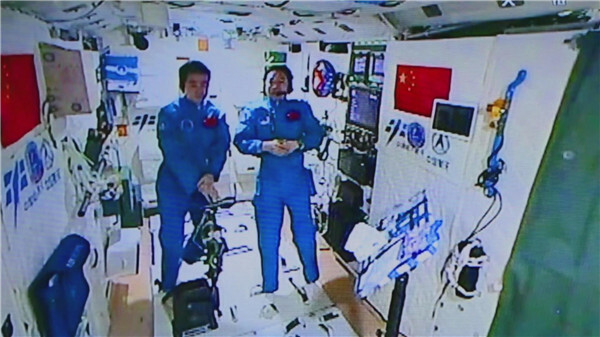 Zhang said he is under so much pressure from the imminent launch and has so many things to deal with that he has no time to feel excited. He also has severe back pain as a result of working long hours. Meanwhile, the probe developed by Zhang's team on Tiangong II, which was launched in September, is working well in the search for gamma-ray bursts, the strongest explosions in the universe. Zhang also wants to try something outside the original plan because he and his team have succeeded in locating signals from the Crab Pulsar, a young neutron star, by analyzing data sent back by the probe. "This is the first time a Chinese-made astronomical instrument has been used to study the remaining pulsar left by a supernova explosion recorded by Chinese astronomers nearly 1,000 years ago," he said. Zhang's other great love is aesthetics, and he has been studying beauty for even longer than he has been developing satellites. One of the results of the reform and opening-up policy initiated in the early 1980s was that Chinese people began discussing perceptions of beauty. "Someone said the Taiwan singer Teresa Teng, who was very popular at that time, was pretty, but others disagreed. I wondered why there was disagreement and what constitutes beauty," said Zhang, who is keen to learn the rules that govern every phenomenon, including aesthetics. As a scientist, he has studied aesthetics through scientific methods, such as induction, verification, falsification, logic and quantification, and has reached the conclusion that beauty is flawless and rare. "I can even write a formula for aesthetics. Based on that, we can develop an aesthetic robot in the future," Zhang said, adding that aesthetic robots would have great commercial value because they could be used to select spouses, and in design and architecture. "Our lives should be aesthetic. If they are not, we will lose the belief that tomorrow will be better and more beautiful than today; we will lose hope," he said. According to Zhang, the aim of technological innovation is to compensate for the defects of original technology and devise unique inventions. The goal of scientific innovation is to rectify flaws in original theories and make new discoveries. Therefore, the essence of scientific and technological innovation is the pursuit of beauty. "At the same time, scientific exploration is full of surprises that are uncommon. Such scientific achievement is the most beautiful," he said. Zhang often makes time to take part in activities to popularize science and his theories about beauty, where he cites examples from Socrates to Einstein, from the Big Bang to gravitational waves. If someone asks about the purpose of studying black holes, Zhang simply answers: "I don't know. I just want to understand black holes." China’s first astronomical satellite, an x-ray telescope that will search the sky for black holes, neutron stars, and other extremely energetic phenomena, raced into orbit today after a morning launch from the Gobi Desert.